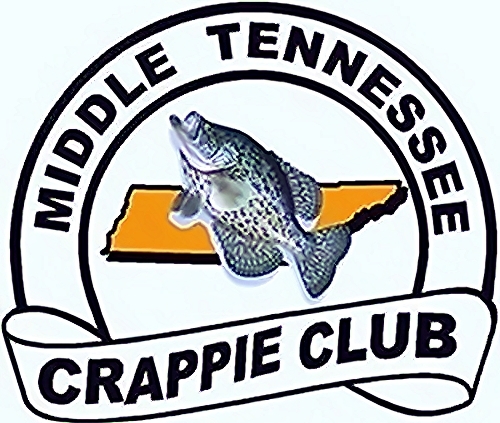 The purpose of our club is to gain friends, have fun, fellowship and teach and learn the art of crappie fishing. Club originated spring of 2009 and has grown to over 60 member families and is still growing.We meet every month the third Thursday night at 7 PM - "Skip's Grill", 614 Davy Crockett Highway, Winchester, Tn. At our meetings, we usually have some type of fishing presentation. We have club tournaments on the Saturday after the third Thursday night meeting each month. 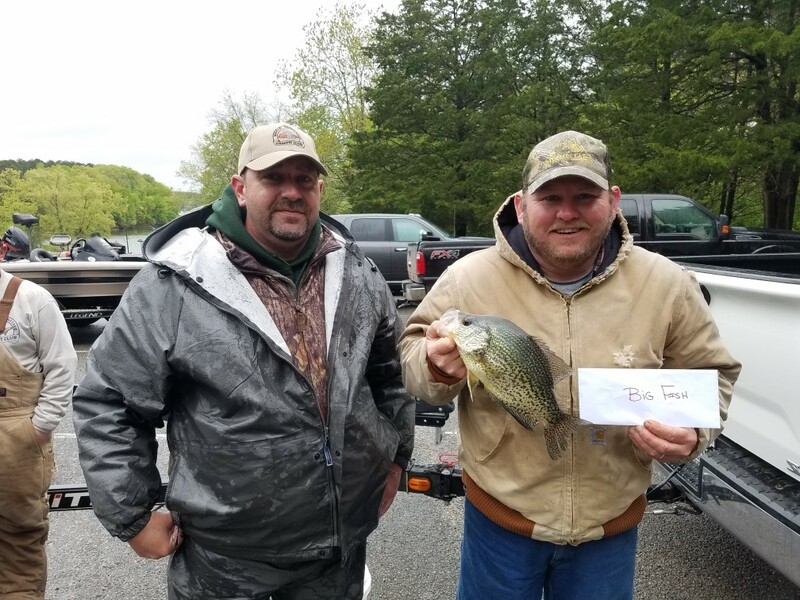 Tournaments are held at Tims's Ford, Normandy and Woods Reservoir.We have a club fish fry in September instead of a meeting. 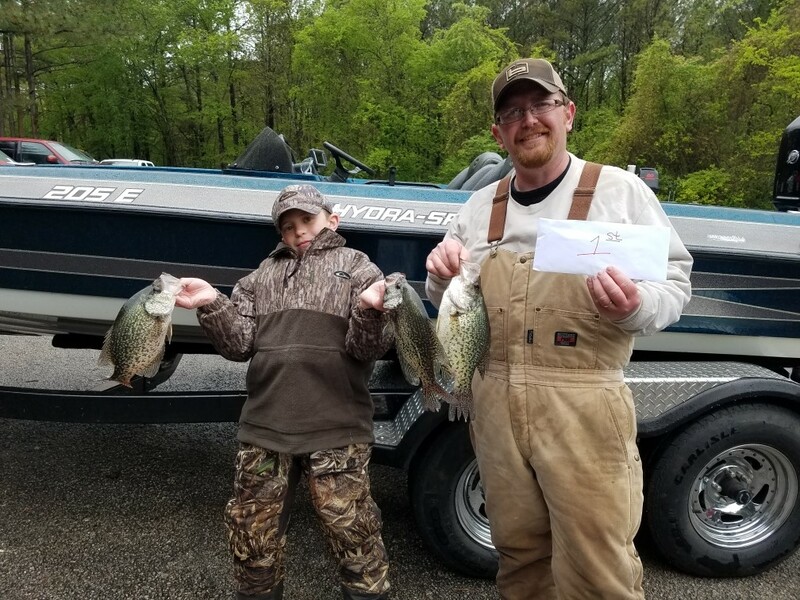 If you enjoy crappie fishing or just getting out on the lake then stop in at one of our meetings and check us out! 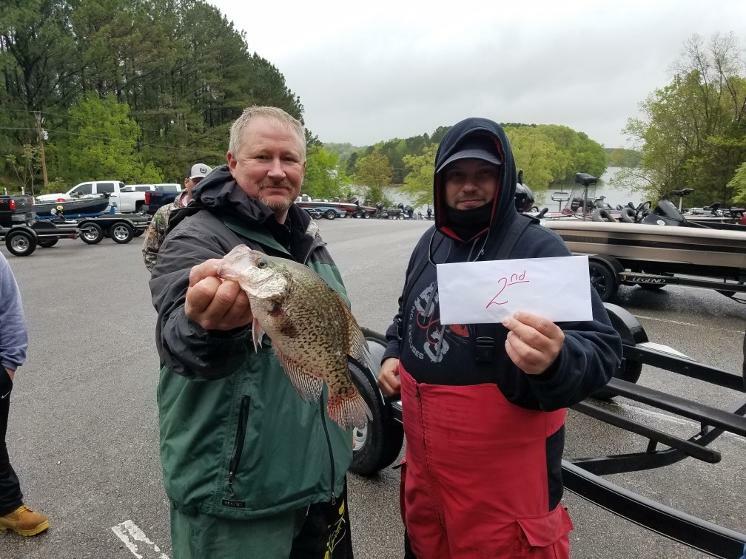 Congrats to Larry Britton & Robert Baker who tied for 2nd place today with 7 fish weighing 7 pounds at Tims Ford. 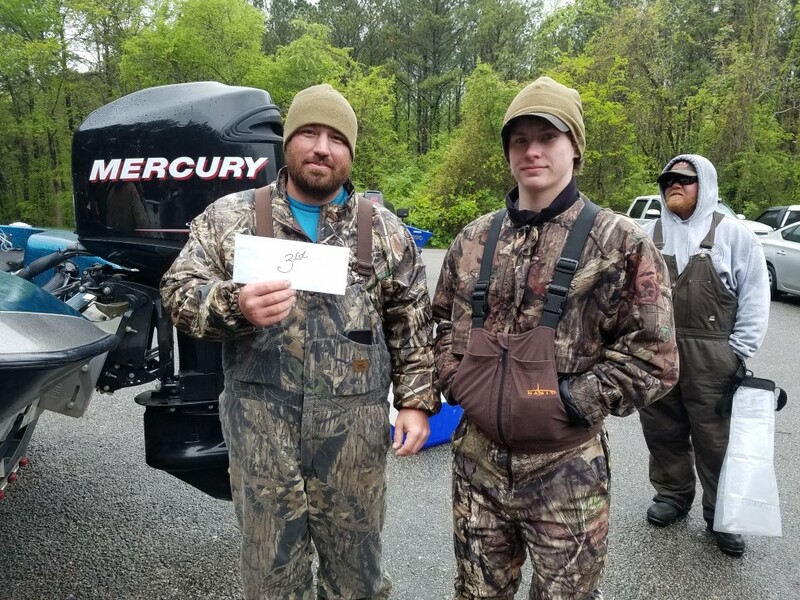 Congrats to Travis Gusman & Colton Layne (below) who tied for 2nd place today with a 7 fish stringer weighing 7 pounds. 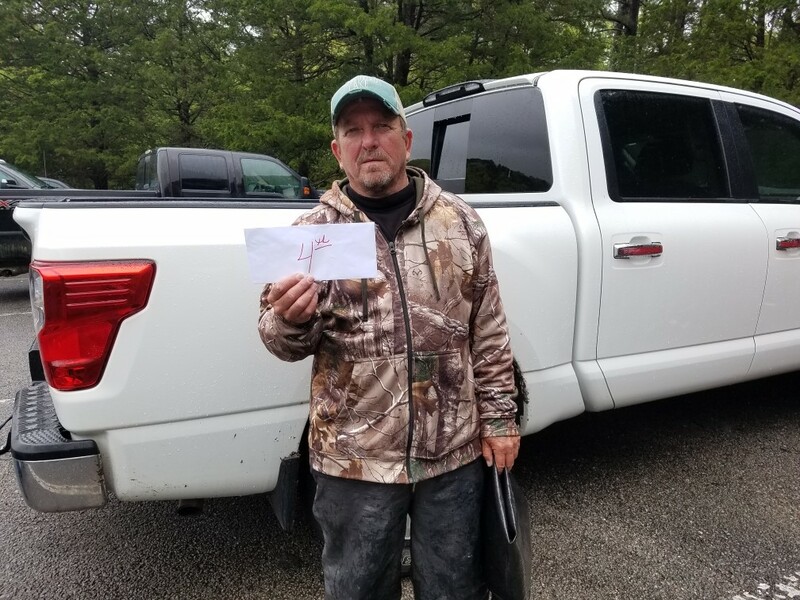 Congrats to Joey Davis below who came in 4th place fishing alone at Tims Ford with 6.28 pounds.